I WANT TO WRITE SOME REVIEW FOR XILERO SERVER!! JUST READ AND THINK!! 1. XILERO SERVER HAVE A HIDDEN DONATION ITEM, NOT SHOWN AT DONATION ITEM LIST!! (FOR GHOST ELEMENT ARMOR + DEX ARMOR STAT + WIND ENDOW WEAPON) ALL IN 1 ARMOR AND 1 COMMAND!! PLAYER HAVE DONATION ITEM WITHOUT DONATION TO ADMIN LABEL AS ILLEGAL ITEM, AND ALL THE ID AND ITEM DELETE AUTOMATIC!! XILERO SERVER HAVE 1200++ PLAYER LIKE 6~8 YEARS AGO, BUT NOW ONLY HAVE 100++ PLAYER AND MANY USE @TRUEAFK COMMAND, SO THE REAL PLAYER WHOS ONLINE IS LIKE 20~30 PLAYER!! 1200++ PLAYER BECOME 20~30 PLAYER, I THINK ADMIN OF XILERO SERVER NEED TO REALIZE THE SERVER ARE VERY CRITICAL SITUATION!! AND ADMIN PLEASE STOP ASK FOR DONATION MONEY FOR UNBANNED!! IF YOU WANT BE A PART OF XILERO STAFF, YOU JUST SEND MONEY HOW MUCH YOU CAN LIKE 5000$ +++, SO YOU GOT A VVIP TITTLE, YOU CANT BE BANNED!! I WRITE THE REVIEW BECAUSE I LOVE XILERO SERVER!! SINCE 8 YEARS AGO I JUST ONLY PLAY XILERO SERVER, BECAUSE XILERO VERY BALANCE SERVER AND BEST PVP SERVER!! BUT NOW ITS ALL OVER, THE BALANCE BROKE BY THE CORRUPT GM!! Since you said review, i'll put this in the review section and hope it stay peaceful there. The most sad fact is that there player who are dumb enough to buy this s***. 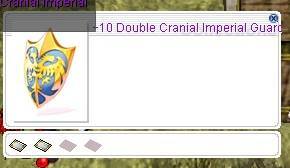 the font is different from the helm with the other gear?!?! Why would anyone wear any of those for free, let alone for $1800. Yeah it gives you stats but you look like an idiot doing it. qq. 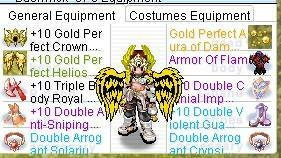 if you want read more corrupt ITEM or GM at XileRO just look out this blog..
please understand, i not talk about the item price, i talk about the hidden item, ok, if XileRO admin try to sell how much price i dont care about it, but please show at Donation Item List, so not many player got cheated by ADMIN. and the item have hidden stat, they real stat not shown at description.. if you try to ask PLAYER at XileRO, 90% Player at XileRO dont know about this item. Items is only pixel but attitude is more important. Have a nice day All. He totally forgot to mention that normal players can have access to GM commands with a nice tip? I do loved the time when I started playing Xilero but since 2009-2010 the server became a mini gold mine for Jon(owner), MONEY is what clouded his judgment, I hope he realized this on tim-oh wait, is it been about 5 years already? someone is taking money really seriously huh? Oh, did I mentioned that money can buy you skills too? like for example a sinx with heaven drive? THE GAME RULES IS SIMPLE!! So, like... it's a hidden donation item? How did you come to find that out--did you ask the person who had it and they told you? I wonder how they knew of it, if it's "hidden." Sorry if I misread anything, though... ugh, I think I'm just dying from those donation prices. It almost makes... omg, maybe it actually does make Perfect World look totally not p2w at all. first, i come find out from damage give to him, and i know a ADMIN very2 well, since 2007 and the ADMIN tell yes the item requested by a Biggest Donation Player in the Server, so from there i know the ADMIN is sell Hidden Item is someone offered BIG MONEY!! LOL!! THE VERY POWERFULL COMPLETE SET PRICE IS 650$, BUT THE HIDDEN ITEM EACH ITEM COST 600$ LOL!! second, i joined this server long time ago, like 2006~2007, yes i admit it, xilero best server i ever play, more custom script make by the old admin, gm very interesting, i never see from other server!! and i have a own guild team, a loyal team. but every year i see the game more ruin and broken after ADMIN sell GM Power depend on biggest donation!! its not like old xilero, old xilero admin or gm recuiting by they skill and work. and the powerfull set high price only 450$, seriusly i dont care about the item price, what i regret it is why the item is not show at donation list? and the item very2 secret only a VVIP player can buy it. so how about the other Donation player? when i tell to them this item, they all quiting. because even they use 650$ set they cant take down the hidden item player!! and this hidden item is fcking new!! its not created before, maybe last month this item release.. and 90% xilero player dont know about it.. and at PVP only have GM, and Donation GM pvp each other, normal player cant enter pvp, because 1 or 2 sec die.. ygg delay 4 sec... now only 5~10 player in pvp!! not like before we enjoy play it... like i say, ITS ALL ABOUT THE MONEY, MONEY, MONEY, MONEY!! Players can contact him via personal msg or something, send the money and BAM! 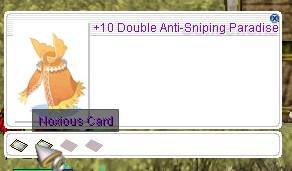 you have good equips already. Of course the *cough* server owner GM *cough* will deny and try to cover it. Perhaps what you mean by "Hidden" Donation is "secretly" buying any item from GM staffs or even the server owner. The cruel fact is "Free to play, pay to win"
Well, all the contents currently written to this thread are right. First, Jon gives Doantion EQ as salary to all the GMS. And GMS increases. Even if people of a general player do donte, GMS can use a FREE item and GM command freely from Jon. Although the present GMS is Taco helium, they are mere Doantion player and are not GMS. It is because Jon tries to employ a developer again. Although many GMS like them were also employed by XILERO until now, but there is the present xilero player population of 190. But there are 10~ actual players. 180 persons are AFK player. Well, XILERO continues for ten years. If even a GMS problem is solved, XILERO will be a good server, but a problem will never improve. If you 10000$ Send to xielro, GMS will leave XIELRO. XIELRO is a money game. I logged in to XILERO after a long time today. Only GMS is in XIELRO. 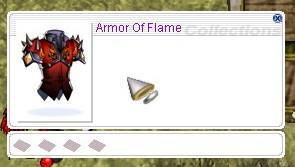 Then, The reason I do not like GMS is that they get a FREE item. We like killing GM TEAM. However, since they have 2 slot shiled, we cannot beat them 100%. look GMS Rist ALL GMS have ALL EQ yes 2 slot shiled etc.